So, this was the star of my Super Bowl party and when I say star I mean the absolute highlight of the menu. I needed something easy, versatile and big enough to feed a crowd. 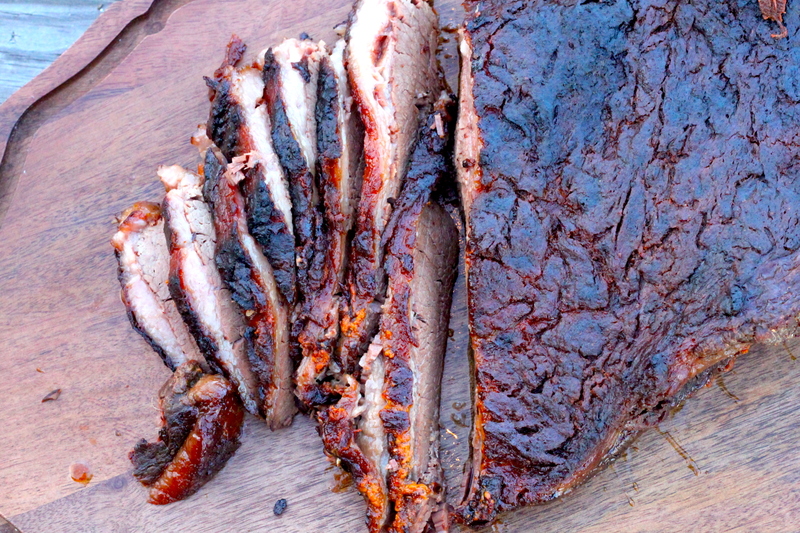 The key to this thing breaking apart when you slice it is low and slow. Low heat and slow cooking. Well worth the wait. I took this out of the oven, placed it on the cutting board and then tried to get a few shots before the ravenous Super Bowl guests took this thing down – these photos above were all I could really get. Add garlic into a food processor, pulse until finely chopped. Add the brown sugar, mustard, oil, black pepper, cumin, paprika, cayenne, ¼ cup salt and process until a smooth and slightly runny paste is formed, set aside. 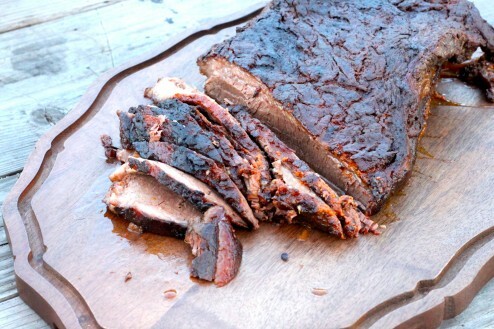 Remove brisket from packaging and dry with a paper towel and place on a baking tray or large dish. 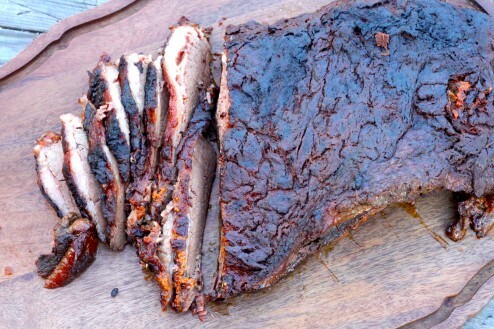 Rub paste all over brisket being sure that its well covered. Cover with plastic wrap and let chill for at least 24 hours. 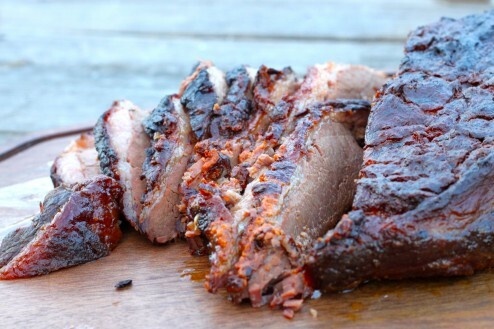 Before cooking, let meat sit out until room temperature, about 1 hour. Preheat oven to 325°. Place onions in a large roasting pan and place brisket, fat side up, on top. Pour in the beer; cover with foil. Braise until meat is very tender, approximately 5–6 hours. Remove foil and heat broiler. Broil brisket until top is browned and crisp, approximately 5–10 minutes. Remove from the oven and let the brisket rest for 10 -15 minutes. Remove from pan and slice. If needed, you can moisten the meat with the braising liquid and season with salt before serving.